…and I wondered : what will it be like? what will I learn? what can I contribute? how will it shape my new thinking? clarify my doubts? how will it help me be the teacher I so want to be? I came away from Maine with a teaching practices notebook filled with new ideas and new understandings. It will take me the rest of the summer to parse through my notes and figure out how these ideas and realizations will find their way into my classroom. But I already know that I came away from Boothbay nourished and changed as teacher. From Linda Rief I learned to give myself the permission to really write – to practice what I teach. No more does my writer’s notebook sit idly by as I write my blog posts, book reviews, and work-related-this-and-that , these days my notebook is out and about, written in daily, and as much a part of my every day life as reading and breathing. From Kylene Beers and Robert Probst I learned to listen to the voices of our children – Kylene and Bob pay attention to how our children think, and their research and writing paves the way for us to learn how how to make reading an authentic, relevant experience for our kids. Notice & Note, and Kylene’s earlier books When Kids Can’t Read/What Teachers Can Do and (with Linda Rief and Robert Probst) Adolescent Literacy: Turning Promise into Practice have been my go to texts for shaping an effective and meaningful reading workshop. 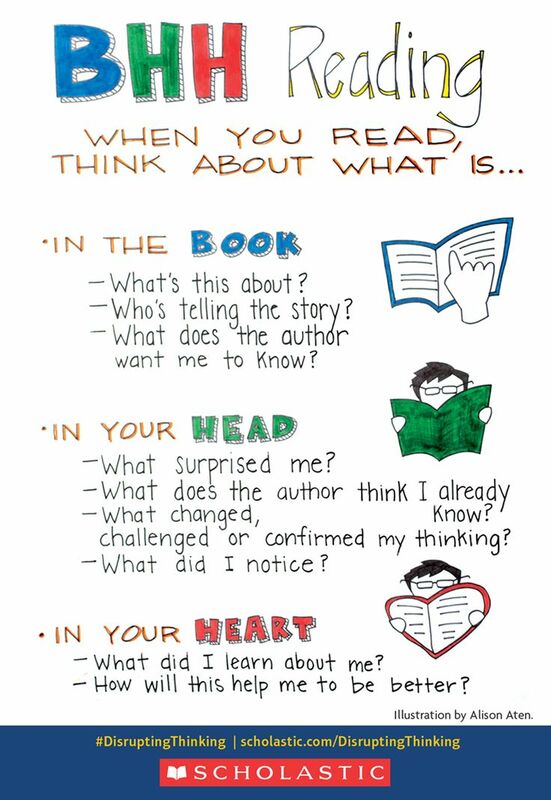 Notice & Note , in particular, led to so many reading breakthroughs in my classroom last year. So, I was thrilled to have the chance to learn from them for three whole days. *We need to think about the assumptions we make about our students and what we think they are capable of. The skills that we want to develop in our highest level students – making logical inferences from the text, citing evidence from the text to support our thinking, being alert to the author’s purpose and bias – should be skills we seek to develop in all our students. We need to move beyond low level skills such as identifying the main idea and going on a hunt for context clues. *We live in a world that depends on synthesis as literacy, where literacy is really defined as reading with meaning and writing with intent. Literacy confers both power and privilege – those who are literate hold power, with that power comes both privilege and a responsibility to share what we know with others. modifying predictions – after reading the text, review the sentence you wrote. If the way you used it fits with the text, simply write, “True.” If not, revise your possible sentence to fit the text. 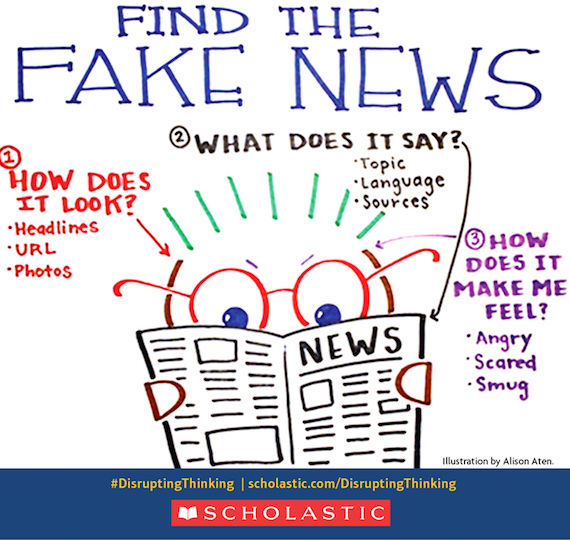 Kylene made this point in working with nonfiction – kids are often limited by their interest, and teachers get limited by the text. Working with the above exercise allows much more active participation on the part of students – and I am really excited about trying this out with my kids in the Fall. *In order to read closely you have to go beyond a reading that is confined within the “four corners of the text”. Bob gave us a wonderful overview of Louise Rosenblatt’s work, particularly her theory of transactional reading. “The writer writes the text,” he reminded us, “but the reader makes the text” through his or her experience – it is a “negotiated understanding.” I found this discussion such a relief after the Common Core related focus on close reading of just the text and somehow staying only within the four corners of the text. How is that even possible??!! From Penny Kittle I learned the great benefits of play with purpose in our reading – writing workshops. Penny’s kids have done amazing things through creating digital texts, and she shared samples of these . Like Linda Rief’s early morning writing workshop, we were launched into creating our own digital pieces in the spirit of do-it-before-you-teach-it. “You’ve got something to say to the world that no one else can say, ” Penny encouraged us, even as we looked around the room in panic, thinking to ourselves: “If she thinks we can create a book trailer, documentary, rant in one day, she’s nuts!” But, with guidance and specific suggestions about storyboarding and craft moves, my erstwhile partner Diana Marc-Aurele and I were able to produce a respectable book trailer for “Zane and the Hurricane” – a book both os us loved. We were lucky to have inspirational keynotes by Donalyn Miller, Lester Laminack and Chris Crutcher, too. Lester’s talk was alternatively hilarious and deeply moving. It’s central message, to me, was to infuse our kids with a passion for reading by inviting them into the books we read aloud. Lester taught us the true meaning behind the Katharine Paterson quote he shared with us:”Every time we ask a child to read to us, it’s a test. Every time we tell a child, ‘Let me read to you,’ it’s a gift.” Donalyn’s gift for inspiring students to read has done so much to inspire us to do the same. She encouraged us to work towards developing independence and empowerment in our students reading choices – the need for each student to own a personal reading canon, just as we do. There is ” no need for stickers and prizes, when reading is its own reward.” So true. And Chris Crutcher, well, I was so moved by his words about how teachers can reach the most troubled among our kids through the power of stories shared and writing , that I took no notes at all. I just sat and listened and felt enriched and humbled. I’m glad that Penny did, for I was “in the moment,” savoring every last moment of an absolutely amazing experience. And already plotting a return next year. I think about mentoring a lot, especially since I have had the privilege of mentoring new teachers for the past three years. I worry about these new teachers, so much has changed in education since I began teaching…and most of this change is not good change. I worry about how these new changes will affect their desire to stay in education, to keep going in those early years when the days are especially long and the rewards seem few and far between. I worry that, given all the stresses and strains, they will tune out, give up, leave. And, as a mentor, I worry about the quality of my mentoring. Do I listen enough? Do I read between the lines to assess what is really going on? Do I make myself available enough? Do I offer enough praise to offset the self doubts that always creep in in those early years, when no amount of preparation seems adequate? Do I encourage enough? Do I suggest, not criticize? And, most importantly, do I make a difference? You can now download a chapter of Thrive. Pls share your thoughts via #edthrive http://ow.ly/tEHJZ Thanks. So, I checked out the (free!!! ) download and was happy to learn that included were excerpts of the first chapter which focuses on: “finding mentors and ways that you can maintain these relationships in your life.” I loved the idea that Meenoo explored of being intentional about mentorship – about really thinking about the process as something that can enhance one’s teaching lives, as opposed to something that is done to simply check off a box on the district’s to do list: every new teacher must have a mentor for their first year of teaching, for example. Because, what happens in year two?! I remember that my second year of teaching was much harder than my first – now that I knew what a school year really looked like and felt like, now that I knew the type of planning that was really effective, now that I had a much better understanding of the range of learning needs I would need to address in all my subject areas… now I was really anxious and overwhelmed. I didn’t have a school assigned mentor, and I really didn’t know how to reach out and find a mentor, either. And so, at a very formative time and vulnerable in my teaching career, I went it alone. And, with the exception of the virtual PD I’ve been lucky enough to develop over time, that is still the case. How much better it would have been to follow the path that Meenoo Rami describes – an intentional culling together of “models and guides for particular parts of my professional and personal life.” And how much better to think of mentoring as a many leveled, many dimensional enterprise, one that does not end at the end of one’s first year of teaching but continues and grows as one develops as an educator. I think I am going to pass this excerpt along to my mentee, and gift her the book when it’s published in its entirety. It’s never too soon for her to start thinking outside the box (our one mentor in the first year of teaching only box) – and perhaps if not too late for me, either.